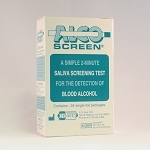 We offer Oral Fluid (Saliva) Alcohol Tests in bulk quantities. The test strip will change from a neutral color to a distinct color if alcohol is present over the cut-off level. 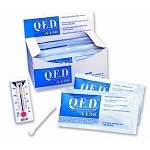 The test is inexpensive and easy to use and is available in quantities of 25 pieces. The device not only confirms the presence of alcohol, but also approximates the actual BAC using a built-in scale. It is DOT approved and CLIA waved. It provides accuracy equivalent to laboratory blood analysts without the need for a blood sample. Available in 10 piece quantities. This DOT approved test works by detecting alcohol above 0.02% BAC with a simple positive or negative result. 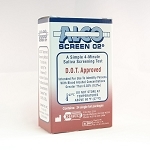 The Alco-Screen® 02 oral fluid (saliva) is a non-invasive test that can be performed anywhere and is ideal for zero tolerance programs. No special training or certifications are required to use the test. Available in 24 piece quantities.